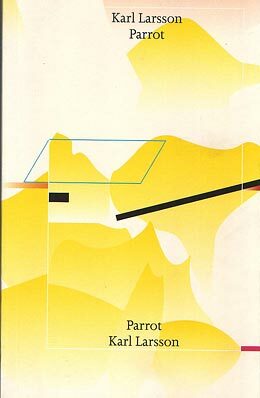 Parrot by Karl Larsson is a long poetical essay – or maybe an analytical piece of poetry – about the repetition, the dissemination, and the crystallization of words and their meanings. It is a book about bodies, containers, and documents. It harbors, generates and repeats poetical statements.